ARCHITECTURE + URBANISM: Where are we now, Number Six? 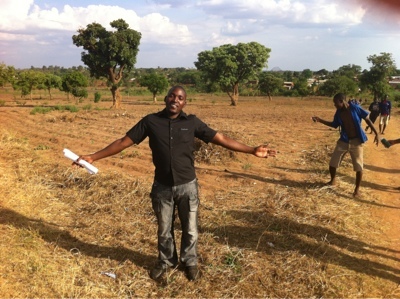 2012 MA A+U graduate and Beit Scholar Nicholson Kumwenda has returned to Malawi where he is currently designing and building the Likuni low cost housing development, a settlement of 91 new houses. The project, which is due for completion in May, is funded by Homeless International. 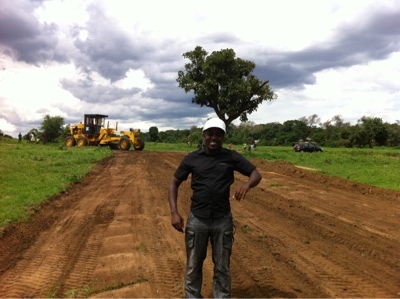 Nicholson, who researched rammed earth construction while in Manchester, is pictured on the site where road grading has just commenced.